Howard F. "Punk' Menard, Jr, 80, of Torrington, CT, passed away Monday, October 15th, at Charlotte Hungerford Hospital. He was the husband of the late Theresa Deak Menard. Howard was born in Lime Rock CT. on September 2, 1938, a son of the late Evelyn (Emprimo) and Howard F Menard, Sr, and was a Design Draftsman in the Aerospace Industry, though his true passion was carpentry. 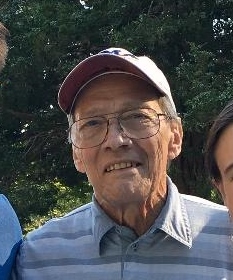 Howard was a former Deputy Chief of Burrville Volunteer Fire Dept., a Life Member of Torrington Elks, and a member of their bowling league for over 40 years. He was an avid Yankee and UCONN fan. He is survived by a daughter Cheri Mills and husband Scott of Torrington and a son, Howie Menard and wife Sharon of Boca Raton FL and their children Celeste Menard and boyfriend Michael McKeeney, and Bryce and Janelle Menard. He also leaves brothers and sisters in law, Roy Portinari, John Deak and wife Pat, and Joseph Deak, Mike Deak and wife Barbara, Tony Deak and wife Marie, Steve Deak and wife Sandy, Marge and husband Ed Demars, and Anna and husband Ray Cerruto, many nieces and nephews. He was predeceased by brothers Carl and Russell Menard and sisters Pat Ducatelli and Mary Portinari.